Well, it is all military at the moment but the military technology has a history of seeping through to the civilian world. US military is developing hypersonic flight at Mach 6 and the decisive test for that particular project is today. 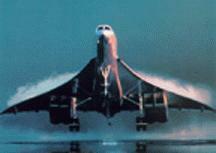 Hey, I know it is all about bombs and rockets but I hope we will have the hypersonic intercontinental flights in my time because I missed out on the Concorde! MBTI is dead? Long live Socionics! Posted on 2012-08-14 by Tigr. This entry was posted in Various and tagged flight, Hypersonic flight, news, Society, Technology, technology, техника. Bookmark the permalink.